Person: So what do you do? Person: Oh my goodness! How wonderful! I can’t draw. Not even stick figures! First of all, a stick figure is a drawing. You just think it’s a bad drawing. The problem isn’t that you can’t draw. It’s that you believe you can’t draw. And taken a step further, it’s that you believe you can’t draw well. All kids grow up drawing, but along the way someone (a parent, teacher, classmate, society) tells us that drawing is unimportant. It’s a waste of time, a selfish hobby, and you’ll never be as good as so-and-so anyway, so you might as well stop trying. And then we grow up thinking we can’t draw. We were all drawing. And then we weren’t. And now we can’t. Drawing, and making art in general, is a series of failures. It’s a process of trial and error, and an evolution of a skill that begins with being bad. We begin as failures. But isn’t that what learning is all about? If we weren’t failures at the start — if we were already amazing artists, scientists, athletes — we wouldn’t need to learn and practice. Everyone begins an amateur and begins a failure. We begin by being bad. Online classes are good. Workshops with professionals are good. Books on drawing are good. 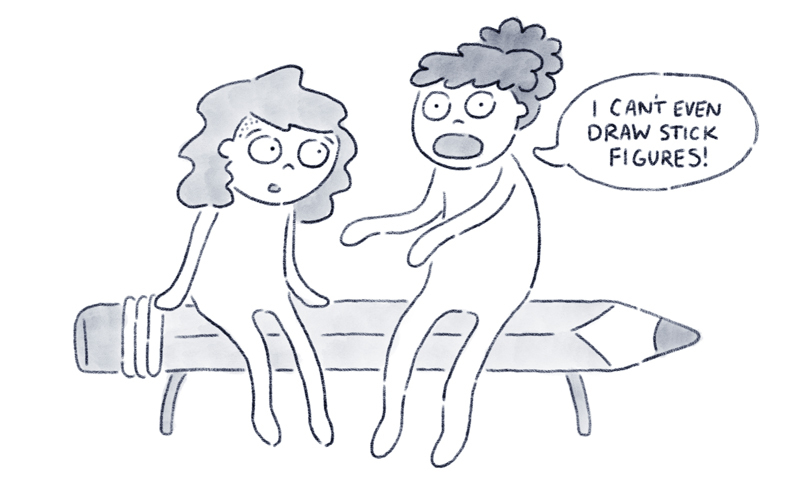 But I’m sticking with my point: the only two things you need to learn to draw are Encouragement and Acceptance of Failure. You need encouragement from others to grow your confidence and your belief in your own abilities to be able to keep going and keep learning. Yes, learning about composition, color, gesture… all of that is important. But it is secondary to just DECIDING to draw. The hardest part is not the act of drawing. The hardest part making the commitment to do it. Again and again. And the reason we decide not to draw is because we’re afraid of the failure. What if we draw something bad? What if no one likes what we draw? What if we draw something well, but then I can’t ever draw something better? 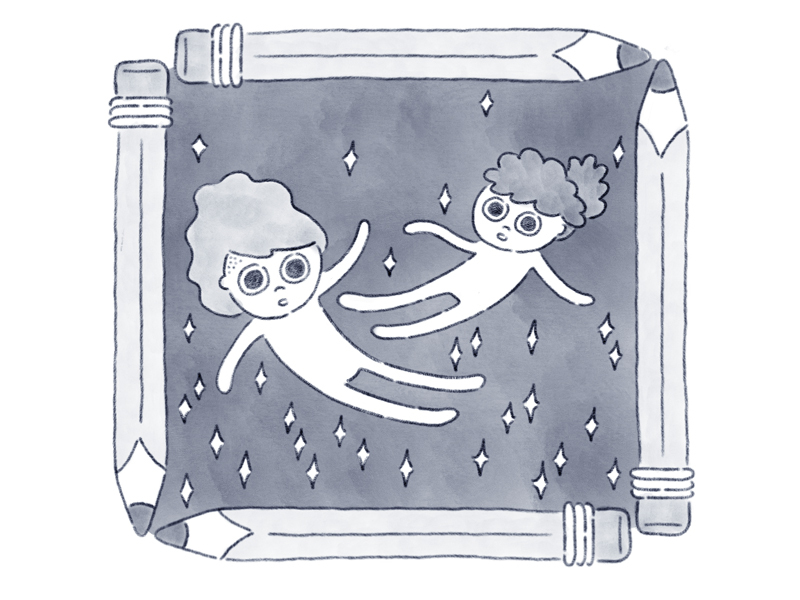 We fear the act of drawing, the unknown of drawing, and the reception of our drawings. 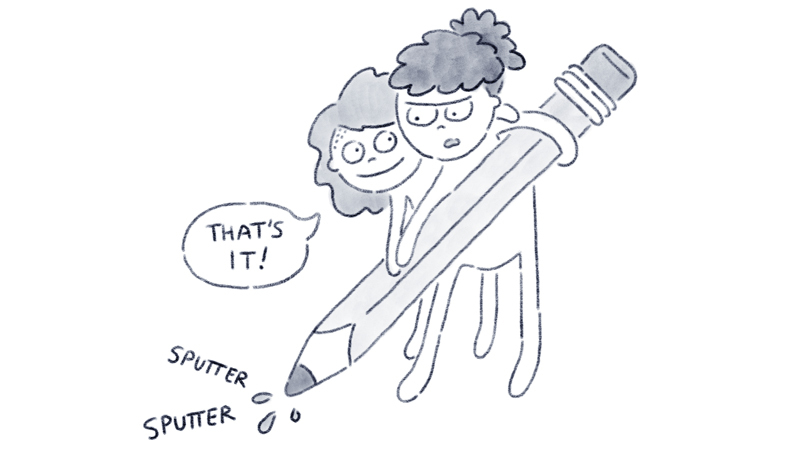 The reality is that you will draw bad things. Often. For every “good” thing an artist draws, there were countless “bad” things—countless tiny failures—that came first. But by accepting failure, and not letting it stop you from continuing, you avoid the greatest failure of all—quitting. How Do You Teach Someone to Draw? Somehow I’ve stumbled into the world of art education. I’ve taught over 30,000 students about art topics ranging from illustrating picture books to choosing colors to drawing facial expressions. I’ve learned much more than I’ve taught over the years. This experience of learning and teaching has been wonderful and enlightening, and I’m thrilled that I’ve been a part of so many people’s artistic journeys. As my classes have progressed, my thoughts on creativity and drawing have expanded and deepened. I’ve taught basic drawing principles, and I enjoy doing that. But I’ve begun to think more about what someone needs to learn to draw. What is most important? How do you teach someone to draw who thinks they can’t? How do you get them over that hump? So far, my thinking has led me to believe that my most important role as a teacher is to encourage you to explore and to keep making and keep drawing. You can ask me a question, and I can tell you my answer, but it might not be your answer. I can show you how I would draw the composition, but it might not be how you would draw the composition. I think I can be most effective as a teacher by creating a space where you feel you can share your art, and receive encouragement and inspiration from others, mixed in with lessons, suggestions, and tips. In this space, the information and knowledge will be shared among students and teacher (who is really also a student) and the core will be an atmosphere of experimentation and learning together. It will focus on the journey of learning to draw, the process of being creative, and the joy of making something new. The lessons and exercises will give you the seed, and then together we will continue to water the tree. But there is no one magic seed. The determination, the motivation, the will power, the magic — all that comes from you. Talent isn’t given to you by some external force. Talent is made. Talent is grown. Talent comes from hard work. In the beginning, you will fail. Let’s be real. When you begin learning to draw, you will be bad. Bad at drawing, bad at sitting down to draw, and bad at knowing what to draw. But this space will be there for you. And I’ll be there for you. Because if you have the encouragement, and the acceptance of failure, you can draw. You can empower yourself and take control of your creativity. You can draw just for fun. 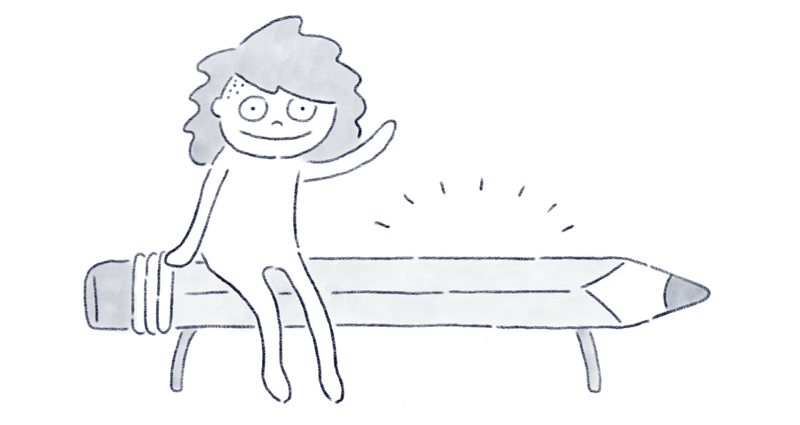 You can draw to alleviate anxiety. You can draw to create worlds. You can draw to make people laugh. You can draw to tell stories. You can draw to clear your mind. You can draw. With encouragement and acceptance of failure, you gain freedom. 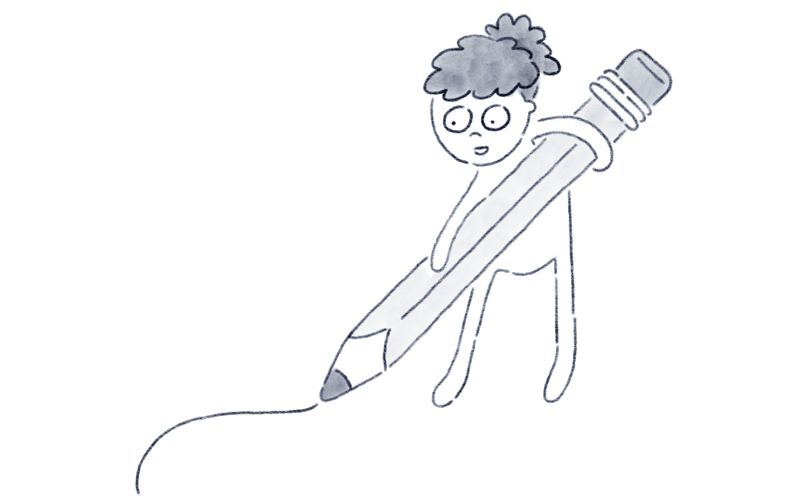 Freedom from worrying about whether you’ll draw something right or wrong. 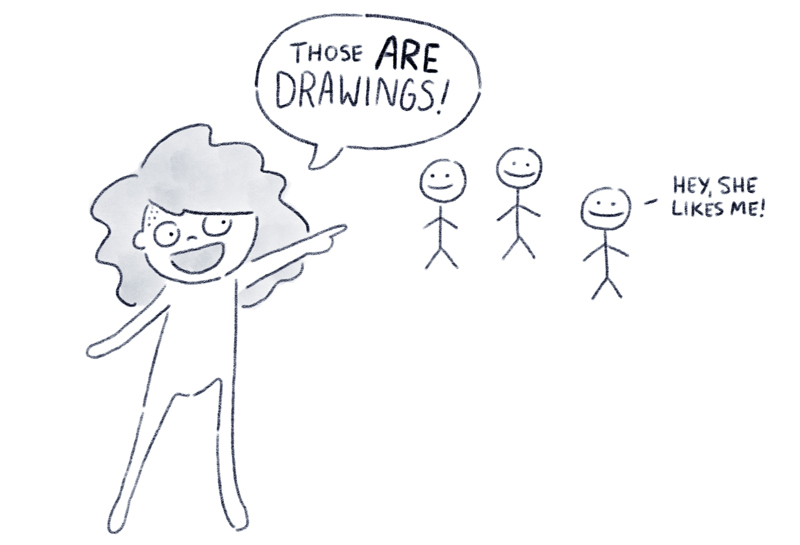 Whether you’ll draw something people like or don’t. Who cares what looks right or wrong? Who cares whether people like it or not? We’re drawing. We’re creating. We’re making mistakes. And exploring. And experimenting. And growing. I can tell you everything I know, everything I do, and everything I think. I can share with you everything I’ve read, everything I’ve made, and everything I learn. I can give you the seed, but in the end, you have to plant the seed. And I believe that with my whole heart. 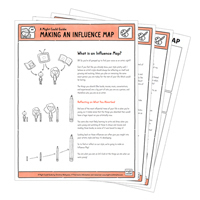 Get my Influence Map Making Guide to find your influences and start uncovering your unique artistic style! Aw, yiss! Now check your email to confirm your subscription. I’m a children’s education illustrator, and science, bugs, and nutrition are my specialties. Those areas are what makes me happiest to play in, but lately I’ve really tried to get back into the human form. I’ve always struggled with more realistic work to the point of it killing my good vibes, so I set it down for much cooler art. Today I have really buckled down and made it my beeswax to study more in that area, but with a more cartoon flair. I found that when I have a hw prompt for a drawing class, I’ll complete the prompt, then totally be in that “head space” and be inspired to draw everything around me. But I have to have that initial prompt, and I really need to learn how to initiate that on my own instead of relying on someone else’s prompt. Does that make sense? I guess it’s basically figuring out how to get my mind started, in a way that will be effective and consistent for me. Thanks so much for this post! I’m a young artist struggling to discover my style, and I’m very insecure about my art. This post was awesome for me to read and I’m so glad I’m signed up for your email list. Thanks for being such an awesome and encouraging person! 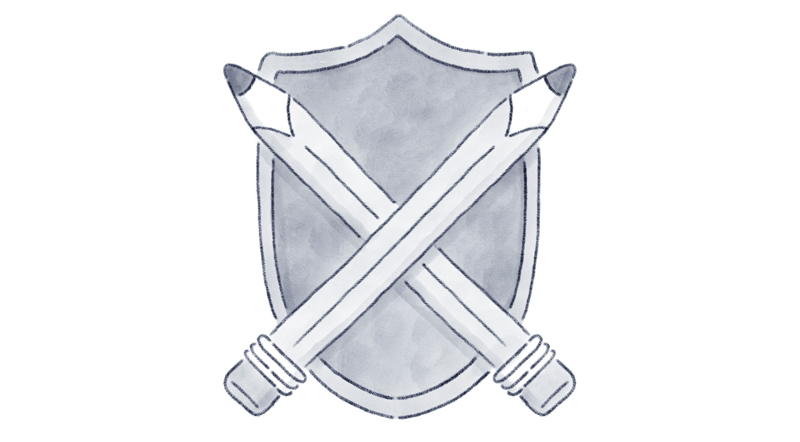 My goal is to write and illustrate a children’s picture book. I really need help with drawing. I am looking forward to hearing more abut this project. Thanks! Hi Helen, that’s awesome! Thanks so much for sharing! 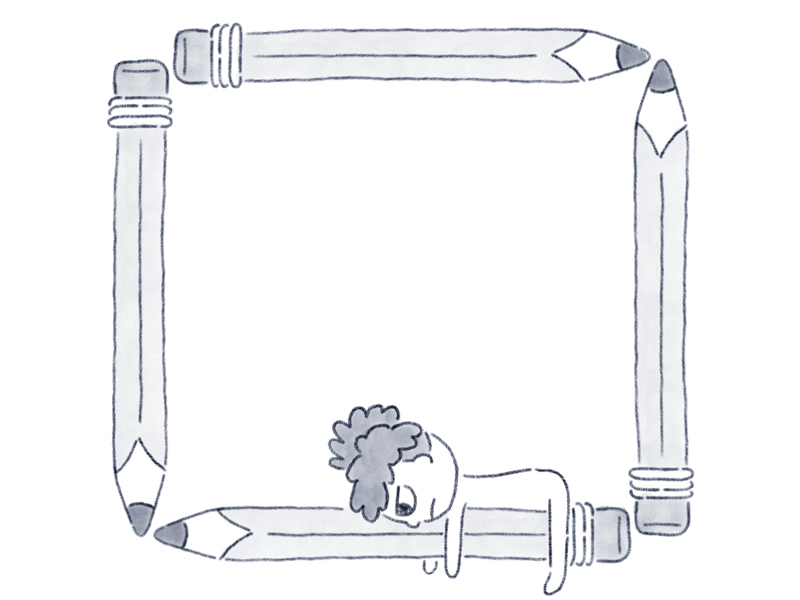 I might be doing an in-depth class in the future focusing on children’s picture books, so that’s really helpful to hear! Great Article! I, too, was drawing as a kid, took art in HS & LOVED IT! Then adulthood hit & I kind of let it go. Well, here I am now & for the past year & half or so, I’ve picked it back up with a PASSION 🙂 . The basic drawing principles come easy for me, I just need the daily practice. That’s why this year I decided to do a #365Project for my drawing. Only missed a couple days so far. All the things you mentioned in the article have hit me already: “It’s not quite right”, “What if nobody ‘LIKES’ it?” Funny thing is, I have plenty of ideas & inspiration; I just need to get them all on paper and not worry about the details! Your Skillshare classes were a great start & I love keeping track of your career. Thanks Again! Encouragement and acceptance of failure are good examples and I think many times encouragement can mean learning to encourage yourself. I notice that ignoring the part of the mind that is self-critical is especially important when learning anything. I think something that can help with both encouragement and failure is applying simple but effective learning techniques. For example, Ed Emberly’s books can be great in this way. He uses basic shapes and puts them together to make all kinds of simple, stylistic drawings. For me, it’s easy to be less critical when I can practice methods like this and see results quickly—without having to over think it. This can develop confidence and become a good stepping stone that is highly encouraging. Anyway, thanks for the article and insights! Hi JC! Yes! I totally agree that we have to learn to encourage ourselves as well. We can’t always rely on other people to carry us through. I think in the beginning though, you need those outside voices to help you get there. You’re right that ignoring your inner critic is so important! This year I’m hoping to create a Christmas fable picture book in time to give it to my friends for a Christmas gift. This space sounds fabulous. Thanks for all you do to encourage the arts. Arts make a person a better, more whole individual.